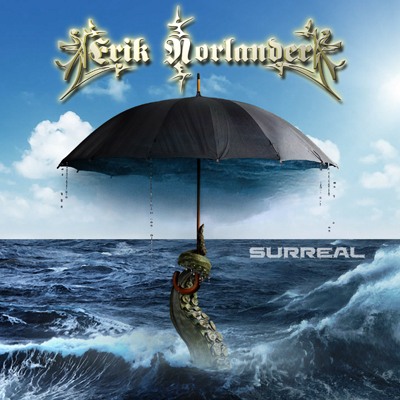 ERIK NORLANDER - SURREAL is the new full-length visionary album from California keyboardist, Erik Norlander. After two recent highly-acclaimed releases with his Rocket Scientists project, Norlander now presents the follow-up to his 2009 solo epic, The Galactic Collective, released in several forms including a live DVD/CD set. Surreal continues in that spirit with traditional rock band instrumentation fronted by Norlander’s own timeless, signature keyboards. Surreal gives both a nod to the past and puts an eye on the future with lush analog soundscapes, real living human grooves, and unforgettable melodic lead work that will keep the songs playing in the listener’s head long after the music stops. A FREE downloadable track, "The Galaxy Collectors (Proxima Centauri Mix)," is available NOW at Bandcamp. CD $15. New album! Erik Norlander - Surreal is now available. Order now!